A re-elected Turnbull Coalition government will ensure the charity and Not for Profit sector thrives into the future, writes the minister for social services, Christian Porter, in the lead up to the 2 July poll. I’ve been travelling around the country visiting scores of community groups and meeting hundreds of their outstanding volunteers. It’s been inspiring to see men and women teaching theatre to students with disabilities in Gosford, cooking meals on wheels in Adelaide and assisting kids with cancer in Darwin, just to name a few. What all these groups have in common is a commitment to helping others. They’re an essential part of many communities; ordinary Australians doing extraordinary things. A 2010 Productivity Commission report estimated that there were approximately 600,000 Not for Profit organisations in Australia. That same report states that the sector contributed a remarkable 4.1 per cent to Australia’s GDP or around $43 billion. The charities and Not for Profit sector is on the frontline, caring for people in need – providing shelter, medical assistance, opportunity and counselling for some of our most vulnerable. The sector provides an enormous contribution to our community. The overwhelming majority of charities are also professional, financially healthy and efficient, finding new ways to adapt to an ever-changing environment. Charities are not only important for the work they do for the people in our community, but also for the jobs, opportunities and personal satisfaction offered to their employees and volunteers. 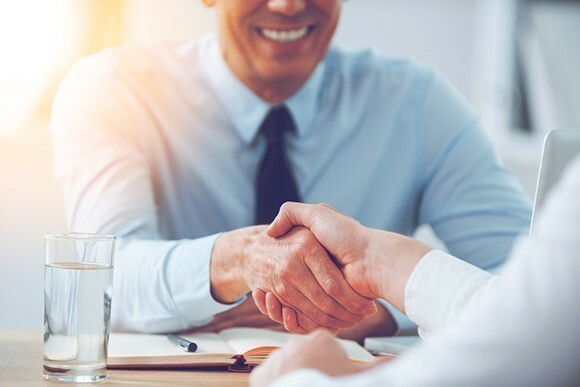 The total income of the sector is estimated to be over $100 billion with over one million people employed in the sector, making up almost 10 per cent of Australia’s workforce. A re-elected Turnbull Coalition government will ensure this vital sector thrives into the future. We will work with the sector to help it achieve this through a particular focus on governance, data, partnerships and enhanced client focus. We want to ensure the best possible outcomes for those in need. The improved collection and application of data will have a dramatic effect on service delivery in social services across Australia, helping charities and Not for Profits best direct their resources to those in critical need and identifying the best form of delivering their services. For example, for the first time, with the help of the sector, we will be able to capture evidence-based data that identifies with high accuracy who needs the most assistance and which programs genuinely produce the best results. Ultimately, this will provide the best chance to help people in the way they need it most. That is why the Coalition is implementing the Data Exchange system and the Priority Investment Approach. We provided over $96 million in this year’s budget towards a Try, Test and Learn Fund to identify those most at risk of long-term welfare dependency. These initiatives will allow our funded charities, Not for Profit delivered programs and a welfare system to provide the best outcomes for all Australians. The Coalition is also focused on good governance and leadership in a sector that delivers services to the most disadvantaged in our community. And with $42 billion of taxpayers’ money supporting these vital services, every dollar needs to be accounted for. It’s also worth noting that a remarkable 64 per cent of charities received no income from government and rely on other forms of donations and bequests to deliver their services. The Coalition is committed to ensuring the sustainability of this important sector. We established the Prime Minister’s Community Business Partnership to foster a culture of giving and to promote partnerships between donors, philanthropists, business and the community. We know and value the work charities and Not for Profit organisations do in delivering essential services to disadvantaged Australians, and the Coalition remains committed to helping those helping others. 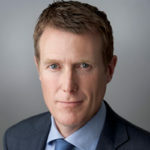 About the author: Western Australian MP Christian Porter was sworn in as the minister for social services in September 2015 in Malcolm Turnbull’s first cabinet. Prior to this he was parliamentary secretary to the prime minister with a primary focus on the government’s red tape cutting agenda and the cyber security strategy. He entered federal parliament after winning the WA seat of Pearce at the 2013 federal election. He served as a minister in the WA state government, variously holding portfolios of attorney general, minister for corrective services and treasurer of Western Australia. Note: All major political parties were invited to provide election comment to Pro Bono Australia News. The Australian Greens article by Senator Rachel Siewert can be found here and the Labor Party’s article by shadow assistant treasurer, Andrew Leigh can be found here. Western Australian MP Christian Porter was sworn in as the minister for social services in September 2015 in Malcolm Turnbull’s first cabinet.